N. J. Akbar is a proud product of public schools; he is the son of hardworking parents, Nadir and Toyi C. Akbar. N. J. experienced struggles early on in school. The combination of his limited vocabulary, short stature, a lisp, stutter and reading challenges all impacted his ability to access education. He experienced delayed entry into school, low self-confidence, reduced ability to make friends, lacked desire to read in class. By the third grade, N. J. attended four different elementary schools, with varying levels of support. Eventually, he finally landed at a school where he was seen as an individual and encouraged to showcase his remarkable potential. With the help of his parents and some amazing teachers (Ms. Deacon specifically), Akbar received specialized support for his speech and reading difficulties. In this supportive school environment, he went from a low 2.0 student to receiving straight A’s! Akbar credits the dedication of his teachers, language pathologist and the unforgiving love of his parents. Despite financial hardships, love was the dominant force for the Akbar family, combined with the assurance that strong educational success possible and the way, even for children living in poverty. As fate would have it, N. J. would graduate from high school as Salutatorian (2nd in his class). In his senior year, he experienced, along with the rest of the country, the tragedy of 9/11. With a family history of military service and the tragedy of 9/11, he was inspired to join the Army National Guard. In the Army, Specialist (E-4) Akbar served as a Human Resources Specialist in a Signal Battalion (Communications and radio unit) and Military Police Brigade. Akbar credits the Army for instilling in him many core values that he holds today and helping him to pay for college. In addition to receiving the G.I. Bill, he received many one-year scholarship to attend Eastern Michigan University (EMU), as a first generation college student. In June 2007, Akbar graduated from Eastern Michigan University (EMU) with a degree in History and English for Secondary Education (7th – 12th grades). At EMU, Akbar was a very active student in many student organizations and leadership roles; most notably, he started a mentoring program for Black male students at the university in order to increase retention and graduation rates. All but one of those young men have since obtained their Bachelor’s degree. While in the classroom, Akbar recognized the tremendously difficult job that teachers endure every day and decided that he wanted to contribute to the success of students outside of the confines of the classroom. Therefore, he decided to go to graduate school to continue his education. After working at EMU, University of Michigan and receiving his Master’s degree, Akbar relocated to the Akron area after accepting employment at Kent State University (KSU) in 2009. 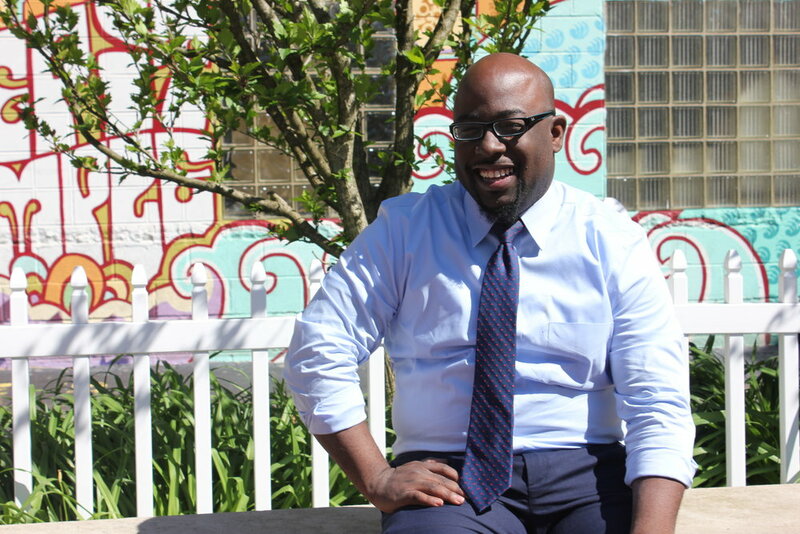 In the past eight years, he has served in many roles at KSU; he currently serves as Assistant Dean of University College responsible for the academic success of racially diverse, first generation and low-income students. Since being in Akron, Akbar has received several awards for his work at Kent State and within the community that include: 30 for the Future Award in 2015, 2016 Harold K. Stubbs Humanitarian Award in Education and the 2017 Ohio Black Women’s Leadership Caucus’ Significant African American Males award just to name a few. Akron has become home for Akbar and in July of 2016, N. J. purchased his first home off Thurmont in the Northwest neighborhood of Akron. He has been an active member of the Eta Tau Lambda Chapter of Alpha Phi Alpha Fraternity, Inc. since arriving into the city. He currently serves as Historian and previously as the founding Program Director of Alpha Core of Excellence Mentoring Program and Director of Education & Scholarship for the fraternity.